Lake Elsinore, CA – December 30, 2014 – It has once again been a year to remember, especially for those who joined the Chris Haines Motorcycle Adventure Company for a ride of a lifetime in 2014. But for Haines himself, it has also been a landmark year. 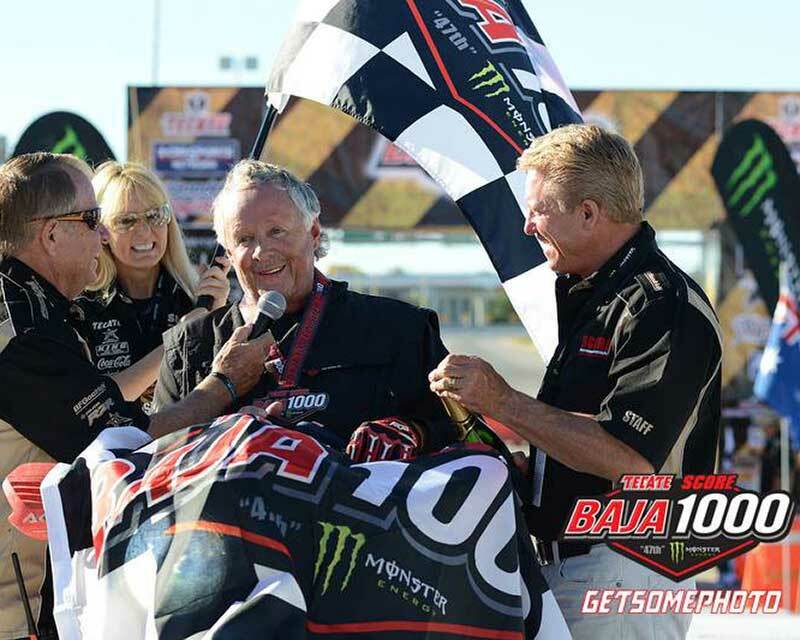 The 2014 Tecate SCORE Baja 1000 marked an incredible 15th time Chris Haines and his team have celebrated victory, and the second consecutive year that they have made their way onto the overall podium in the world-class race. Coming into the 2014 race, Haines had already decided to make this Baja 1000 his last. To punctuate his incredible win streak at the notorious event, Haines’ teammates made sure he had the honor of riding the last stretch and bringing the Team Guatemala/Bremen-Arredondo Racing CRF450X into La Paz. For more information on Chris Haines and Chris Haines Motorcycle Adventures, please visit www.ChrisHaines.com.